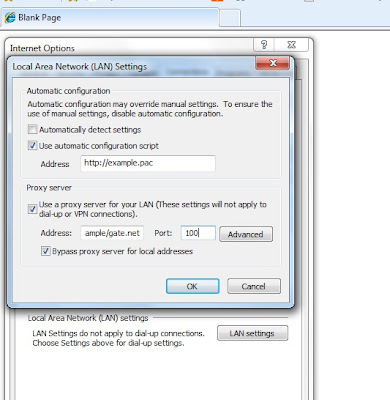 Most of the companies have proxy server in between internet and your computer.For update we need connect to internet but the proxy server requires authentication for that. And we are not able to connect to internet through Eclipse. Out of three check boxes may be only one is checked. 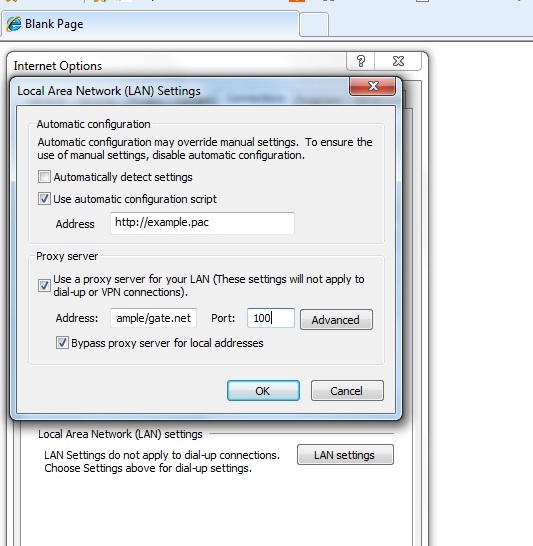 c) If the third is checked then you can directly take Address as proxy Server and port as port number. 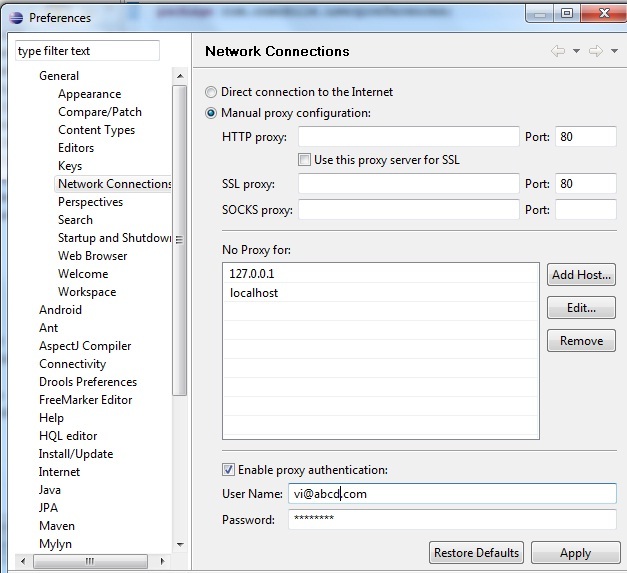 In this step you get proxy server and port number. i)Screen 1: From the Active provider drop down Select "manual" then you will find 3 Check boxes as shown in screen 1 automatically gets checked. Now Double click on any of the checked Check Boxes a new small window will open where you will be prompted to enter Host, port, Username and password. 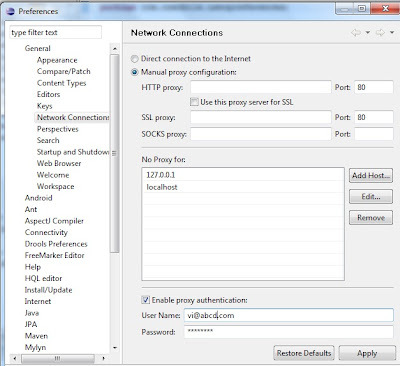 In the host Text Field enter the proxy server name which we got in step 1 and also enter the port number. In the username and password enter the user name and password you got from your company(it may be same as your desktop password). Repeat this for all three check boxes and click apply and then Ok. So now you are done with proxy setting in eclipse. 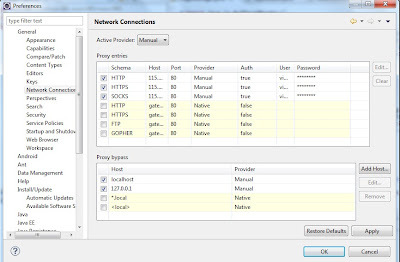 Now you can directly update the Eclipse with your proxy server also. Please feel free to tell if there is anything wrong in this blog or any update is needed. Now I have a great technique to open any blocked torrent sites and very easily just one click and you can open it very easily. Great to know about but i can open in seconds just one click and you can open any blocked site just a click on this.